Zigwheels.ph is a rich automotive platform in the Philippines that brings to its readers an experience like never before. Zigwheels Provides filipino consumers with an intuitive platform to serve their needs for automobile information. It allows users to browse through a plethora of content on all models offered in the country thereby allowing them to find the right car for themselves. Amazing ideas are born from dreams. 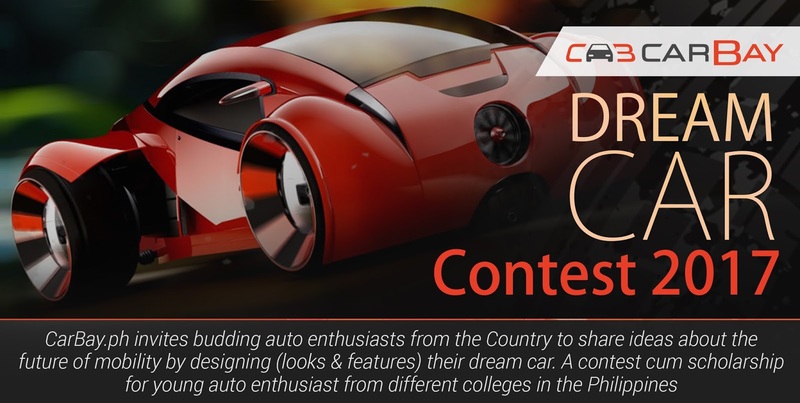 Zigwheels Dream Car Contest is being organized to encourage and inspire creativity in auto enthusiasts. We hope that drawing their dream cars let them not only have fun but also realize how vital their dreams are. 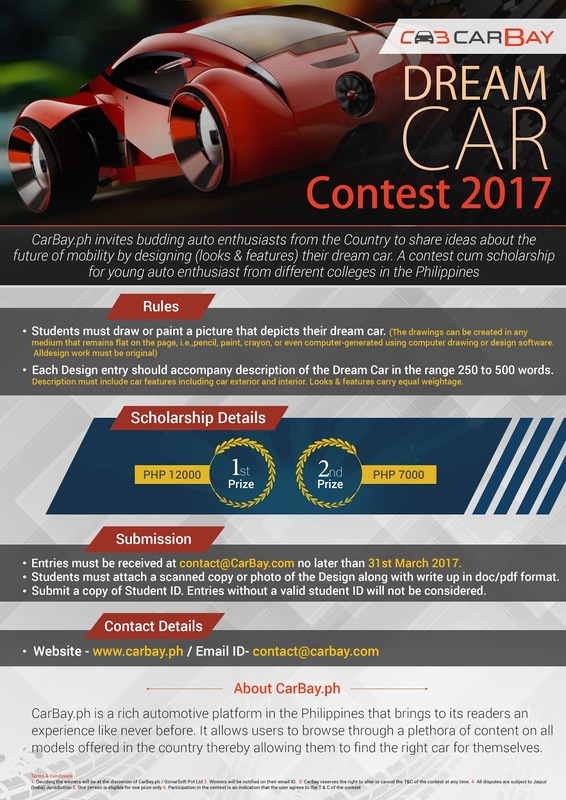 • Students must draw or paint a picture that depicts their dream car. Initially, a Zigwheels team will narrow the entries based on design & features. Then pictures of the Top 5 finalists will be posted on the Zigwheels Facebook page on 6th April 2017. Top two Design Work with the most “likes & shares” till end of April 9 will signify the winner. 2. Winners will be notified on their email ID. 3. Zigwheels reserves the right to alter or cancel the T&C of the contest at any time.